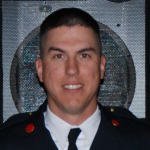 Captain Aerts has been in the fire service for approximately eight years, starting his career as a student firefighter with the NMSU Fire Department in 2003 and then serving as a Captain from 2013-2014. 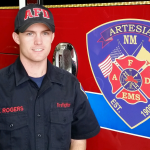 Captain Aerts was one of the first career firefighters hired by Doña Ana County in 2008, and served five years, ending his career there as EMS/Training Captain. Captain Aerts holds an IFSAC Accredited Associates of Applied Science Degree in Fire Science Technology from New Mexico State University. Shortly after high school, Tony came to NMSU from the Grant County area (NM). Tony completed a Bachelors degree in Industrial Engineering and during his time took 2 leave of absences from NMSU FD to complete internships with International Business Machines (IBM) in Austin, TX. It was during these internships, Tony realized his calling was a career in the fire service. Tony moved from Las Cruces to College Park, MD to undertake a Master’s degree in Fire Protection Engineering from the acclaimed UMD FPE program (1 of 2 such accredited curriculums in the country). To help offset expenses, Tony volunteered and lived in station #34 of the Prince George’s (PG) County, MD fire department which boasts the nation’s largest combination volunteer/career fire department (over 5,000 firefighters). PGFD borders the eastern edges of our nation’s capital with Station #34 running in excess of 6,000 annual emergency calls. Upon completion, Tony went to work for the world’s largest fire protection consulting firm Rolf Jensen & Associates (RJA). There he spent the next 7-years traveling throughout Latin America providing fire protection engineering consulting services to many of the multinationals including Hilton, Marriott, Ford, General Motors, Proctor & Gamble, Colgate Palmolive, Conoco, Texaco, amongst others. After flying in excess of 1 million miles on American Airlines, Tony was prepared for a more regionalized life that would be more aligned with family life. Tony then relocated from the Washington, DC to Denver, CO where he then managed the Denver engineering office of Schirmer/AON Engineering (a worldwide company having in excess of 50,000 employees). During this time, Schirmer Engineering (Tony) assisted NMSU FD in performing authority having jurisdiction (AHJ) reviews of the planned & designed life safety upgrades for the Pan American Center renovation. Obviously a project relished by Tony! 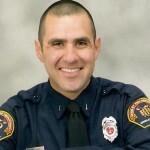 In 2005, Tony returned to his calling by taking a job with the Denver Fire Department where he continues to serve as a Fire Protection Engineer working on the city’s complex projects, fire policy development and code compliance litigation cases. Tony assists with all aspects of the Fire Prevention & Investigation Division which has in excess of 55 personnel with approximately 35 inspectors/technicians coming from the ranks. Tony credits his NMSU FD years for initiating the credentials & experience needed to attain the credibility of fire administrators and crews throughout the City of Denver thereby allowing to serve as the technical liaison between prevention & operation efforts. 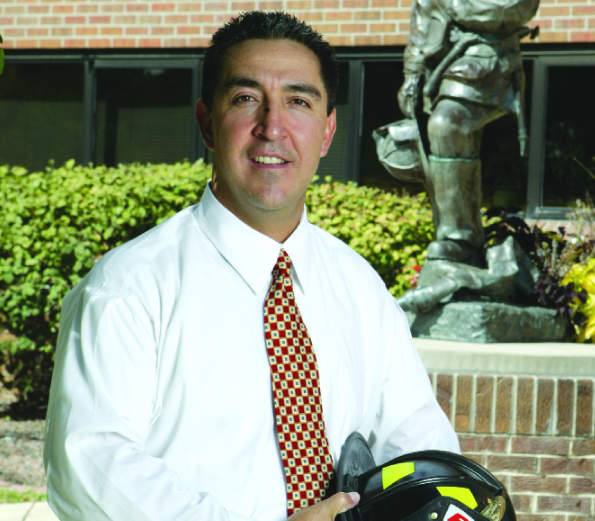 A native of Otero County, Jason joined the NMSU Fire Department in 1994. During his two and a half years as a student firefighter, he served as Firefighter, Driver and Lieutenant. 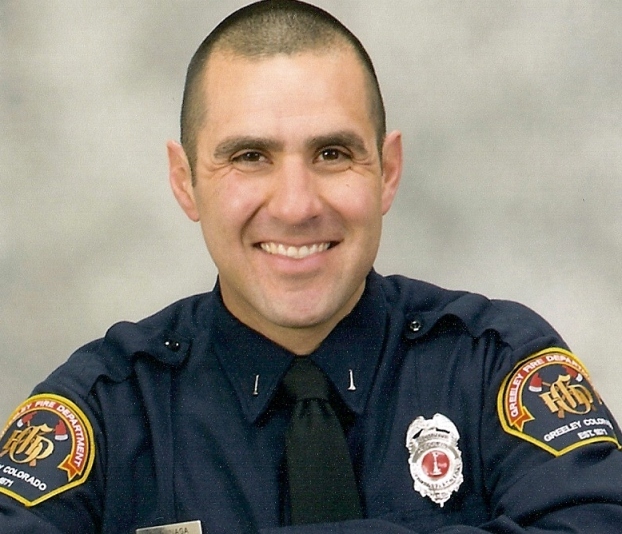 Jason was able to use his NMSU education, experiences and training to further develop his career as a firefighter and joined the Las Cruces Fire Department in 1998. 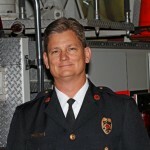 During his career, he served as Firefighter, Driver/Operator and now Lieutenant. He has had opportunities to be involved in training and instruction for Forcible Entry, Aircraft Rescue and Hazardous Materials. Jason received an Associate Degree in Fire Science in 1997. He is married to his wife of 15 years, Kristin and they have three sons. Jason and Kristin have a Real Estate Appraisal Company based in Las Cruces for the past 7 years. 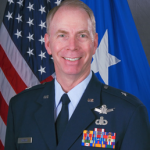 Brigadier General William E. Hudson is the Assistant Adjutant General for Air, Colorado Air National Guard. As the commander, General Hudson commands and directs manning, training and employment of Colorado Air National Guard resources, a force of over 1500 officers and airmen. General Hudson began his military career by receiving his commission from the Reserve Officer Training Corps at New Mexico State University. While on active duty, he served as a Combat Crew Weapons Controller at McChord Air Force Base, Washington and Weapons Director at Indian Mountain Air Force Station, Alaska. General Hudson joined the Colorado Air National Guard in 1982 as a traditional guardsman and was hired as a full time technician in 1992. He was one of the first officer’s in the Air National Guard to transition to a Space Command mission and became mission ready as a Space and Missile Warning Officer on the Mobile Ground System. General Hudson has served in a joint senior leadership position as the Battle Watch Captain, Joint Operation’s Center, European Command, at the Joint Force Headquarters - Colorado as the Acting Chief of the Joint Staff, and most recently as the Dual-Hat Joint Task Force Commander for the 2008 Democratic National Convention. In addition to his role as the Assistant Adjutant General for Air, Colorado, General Hudson also serves as the Guard Advisor to the 14th Air Force Commander, Vandenberg Air Force Base, California. 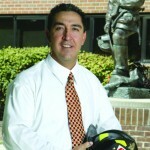 Raised in the Grant County area, Ben joined the NMSU Fire Department in June 1993 a month after graduating high school. During his four and a half years as a student firefighter, he served as Firefighter, Driver and Lieutenant. Ben graduated in May 1998 with a BA in Business Management in Human Resources. 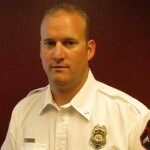 He then received an AAS in Fire Science from Dona Ana Branch Community College in 2000. Ben has been continually active in the fire service since his tenure at NMSU FD, which he credits as giving him a head start for his career. He volunteered from 1998-2000 at Bernalillo County Fire Department in Albuquerque. In 2000, Ben moved to northern Colorado where he worked as Volunteer Coordinator/Training Coordinator/PIO for the Mountain View Fire District. In 2003 Ben took a job as a firefighter with the Greeley Fire Department. 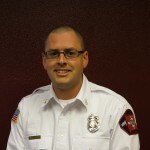 He is currently a Lieutenant/EMT-I with GFD, where he leads an Engine Company. Ben also serves as the Wildland Team Leader. Ben is very involved in training. He serves as a member of the GFD training committee coordinating Engine Company related training. He is a lead instructor for the Front Range Fire Consortium which serves 10 area fire agencies providing recruit fire academies and company officer development. Ben is also an Instructor with Aims Community College Fire Science Department in Greeley. He is a member of the Greeley Firefighters IAFF Local 888 and the Northern Colorado Fraternal Order of Leather Head Society (NOCO FOOLS). Ben is married and has one daughter. Clift credits his experience with NMSU Fire as solidifying his decision to become a career firefighter. 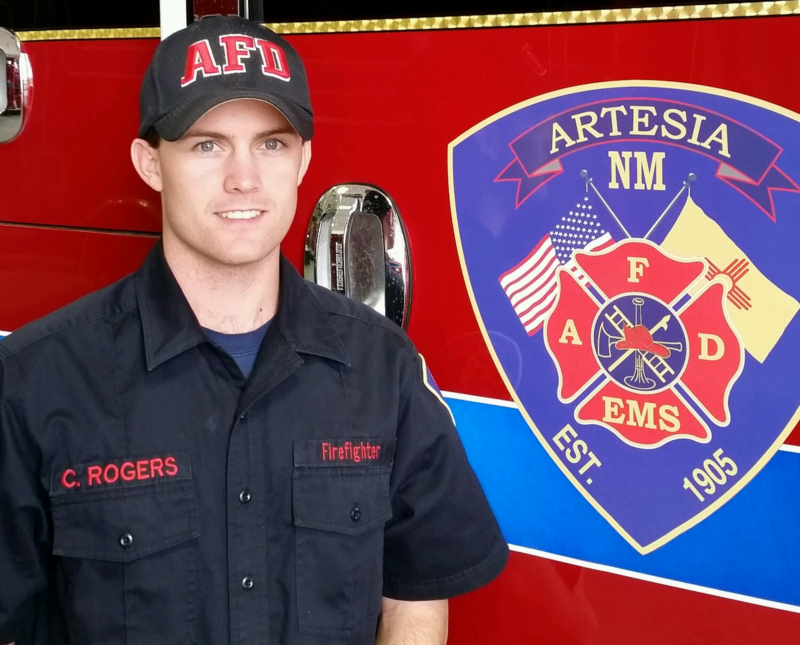 He is currently working for the Artesia Fire Department (AFD) since December 2009. In his career with AFD, he has obtained multiple certifications including IFSAC Swift water Rescue Technician, Tactical Combat Casualty Care, Pro Board Certified Confined Space Rescue Technician, Pro Board Certified High Angle Rope Rescue Technician. Even though Rusty Smith spent a short time in NMSU Firefighting program, he credits it for setting his career path. “Being a firefighter is a honorable and worthwhile endeavor, whether paid or volunteer.” He joined the Las Cruces Fire Department (LCFD) right after leaving NMSU and has risen in the ranks. Deputy Chief Smith has spent the last 25.5 years as a firefighter at LCFD. As of December 2014, he retired from LCFD as a Deputy Chief.